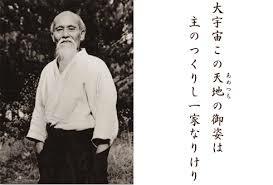 Morihei Ueshiba, the founder of Aikido, often described this art as being like the flow of water, moving gently around obstacles, working with the current rather than fighting against it. Aikido aims to turn anger, defensiveness, and the tendency to meet aggression with aggression into compassion, empathy, and even love. This is a good image of how to deal with conflict in intimate relationships. As a mountain stream moves around rocks yet retains its true nature, a good relationship can deal with conflict and preserve the current of intimacy. Conflict can be based on differences of opinion, assumptions, misunderstandings, and different emotional cultures. By using a few basic skills, conflicts can become opportunities for understanding, growth, and re-connection to the flow of your relationship. In Aikido, one of the most important basic movements is Irimi (入り身) or “entering”; the act of entering an attack and redirecting momentum. This is very different from boxing, where attack is met with block and counter-attack. Transforming relationship conflict into understanding is a similar movmement—entering into each other’s viewpoints and realities and in so doing transforming the energy of “attack-defend” into listening, understanding, and love. In essence, this means learning to see there are two positions, both equally valid (Gottman). The following steps are based on the work of the Gottman Institute. Be sure to read all steps thoroughly. You can use a recent argument, an issue your partner and you are at odds about, or another topic that is a sore spot for you. Take a minute or two to first choose an issue. You can also use these steps for a conflict in the future, as it is happening. Remember that any new pattern takes a while to learn and make your own, and may feel uncomfortable until you really get the hang of it. Softening: The first step, before any dialogue begins, is to visualize a positive quality of your partner. Take a moment and create a strong image of this. You might want to create a key phrase or visual image in your head. Then, create a solid image of yourself as having reacted poorly in the past, over-reacted, under reacted, or ignored your partner. When tensions rise, most people see their partner as wrong and themselves as in the right. This skill balances that out. It is not transference of frustration into self-blame and agreeing completely with your partner, but rather a way to see the grey areas when things get tense. State Feelings, Situation, & Needs Without Blame: Take turns going through the substeps below. One person speaks and the other listens until the speaker feels fully understood; then switch roles. Remember to breathe. Identify a need: “I need…” Refine your need into something your partner can likely do for you. “I need you to not react when I’m yelling at you” would be pretty hard for your partner to do. “I need you to say “breathe” when I am getting tense” is more reasonable, but in the end your partner has to decide to meet the need. Most “I feel” statements fall short because a need is not given. Avoid Persuasion: You are not trying to convince your partner of your position. You want to explain how you see an issue in terms of your reality. Avoid Problem Solving: Behind every conflict there is a conversation you need to have instead of the fight. The goal is understanding. You cannot get to problem solving until each person feels fully understood to their satisfaction. Self-Soothe: If overwhelmed be sure to self-soothe. Ask Open-ended Questions: Deepen your understanding by moving into your partner’s viewpoint, getting a sense of the emotions beneath the issue. Examples might be, “I would be grateful if you could tell me more about why this issue is important to you?” ‘What do you need?” If you hear something you have not heard before, respect that it took some vulnerability on your partner’s part to tell you. When in Doubt, Check-it-out: Paraphrase to ensure you understand; “Am I getting this right, you are saying…” Many people assume they know what their partner is saying but they do not go any deeper. Assumptions are the termites of relationships, undermining connection. Validate the Speaker’s Emotions: “You must be really upset about that.” You do not have to agree with your partner’s views, but you can agree that he or she feel a certain way. Compromise Around the Edges: Once you feel truly understand, indicated by a shift in emotional tone, look for some small area you can compromise on. You want to be able to talk about difficult issues for the long-term, so avoid one-off solutions right off the bat. Understanding changes conflict into dialogue and compassion. The emotional exchange gained when assumptions transform into understanding offers a real feeling of relief and deeper connection. This is the Aikido of intimate relationships. Aikido (合氣道) translates as “the way of meeting/joining the inner spirit of another.” The first character 合, Ai, “meeting” or “joining” is interchangeable with 愛, Ai “love.” Aikido is also “the way of loving the inner spirit of another.” This applies to relationships; the ideal is to care for and love the inner uniqueness of your partner. Contact me for more information on how you can meet these ideals in your relationship. Gottman, J. & J: Bridging the Couple Chasm. The Gottman Institute (2000-2012). John Taylor, Registered Clinical Counsellor - counselling and therapy services - specializing in Marriage and Couples Counselling & Psychotherapy for individuals, including anxiety and stress, depression, mood and sleep disorders, relationship issues, drug and alcohol addiction counselling. Centrally located on Vancouver Island. In addition to Nanaimo, I serve Ladysmith, Parksville, Qualicum Beach, Gabriola Island, Chemainus, Lantzville, Port Alberni, Courtney, Comox.